Dezeen promotion: designers can engage with social and political problems that are sometimes too big for governments to tackle, says Richard van der Laken, founder of annual social design conference What Design Can Do (+ interview). This week What Design Can Do will announce the five finalists in its first Refugee Challenge at its annual conference in Amsterdam, which started today and continues until 1 July. "Our statement in this Refugee Challenge is that this is a problem, an issue, that is too big for politics and governments alone," Dutch graphic designer and conference founder Richard van der Laken told Dezeen. "We as designers, or as civilians at large, should step up and try to see what we can add to the solution to this problem." Dezeen is media partner for the Refugee Challenge, which aims to find designs that can improve the lives of refugees living in urban areas and attracted more than 630 entries. With animosity towards refugees rising across Europe, What Design Can Do has been criticised by some commentators for approaching such a complex political issue as a design challenge. But Van der Laken, 45, said that it was impossible to separate design from politics. "As a designer you work for people, you work with people, it always has some kind of purpose," he said. "In that sense it's always connected with wider society, so design is always political." "You cannot withdraw from society as a designer," he added. The challenge is backed by the UN Refugee Agency (UNHCR) and the Ikea Foundation – the philanthropic arm of the Swedish furniture giant, which was behind the design of its flat-pack refugee shelters. All 25 shortlisted projects will be displayed during the conference and the finalists will be placed into an "accelerator" to turn their concepts into real prototypes. Dezeen editor in chief Marcus Fairs will also host a workshop dedicated to designing for refugees at the conference, which will be held at Muziekgebouw aan 't IJ, a music hall on the banks of the IJ river. "Design is not going to save the world, but it channels a lot of positive energy," said Van der Laken. "What we proved with this challenge is that there are also many, many people, creatives and designers, who are not cynical and who are willing and able to come up with ideas and alternatives." Van der Laken is one of the founding partners of Dutch agency DesignPolitie, and created What Design Can Do in 2010 to give a platform to designers who are tackling social problems. "The Netherlands is a very well developed country when it comes to design, but even here we often have the feeling that design is perceived as something nice, something exclusive, it's aesthetics," he said. "Of course it's very important that we make beautiful stuff that people want to surround themselves with. But it's also much more than that. Design can help change things, and I wanted to address that." This year's Amsterdam conference features more than 20 speakers across three themes: What Design Can Do for Music, What Design Can Do for Refugees, and What Africa can do for Europe. Tickets for the What Design Can Do Amsterdam conference are available online. More information about the Refugee Challenge is also available on the What Design Can Do website. Anna Winston: Were you expecting the Refugee Challenge to attract such a volume of entries? Richard van der Laken: Of course not. We were expecting something between 200 and 300. One week before the deadline we were still looking at 140, and then in the last week it really was like a tsunami – the whole challenge platform went ballistic, because everybody tried to upload ideas. All designers are deadline junkies. Everybody was flabbergasted by the amount of entries. We used the challenge platform of UNHCR, and they didn't expect this, because most of the time when they do a challenge they have around 80 or 120 or something like that. So they were also really shocked. Anna Winston: Does this say something about designers as a group of people? Richard van der Laken: There's a very cynical tendency around this refugee topic. It's always very easy to be negative. What we proved with this challenge is that there are also many, many people, creatives and designers, who are not cynical and who are willing and able to come up with ideas and alternatives. Design is not going to save the world, but it channels a lot of positive energy. Whatever comes out of this challenge, if things will be implemented or not, we can already say it was a success in my opinion. Because it shows another side of the story. This is suddenly something positive – you can also reach out with an idea, with a proposal. Anna Winston: How did you come to set up What Design Can Do? 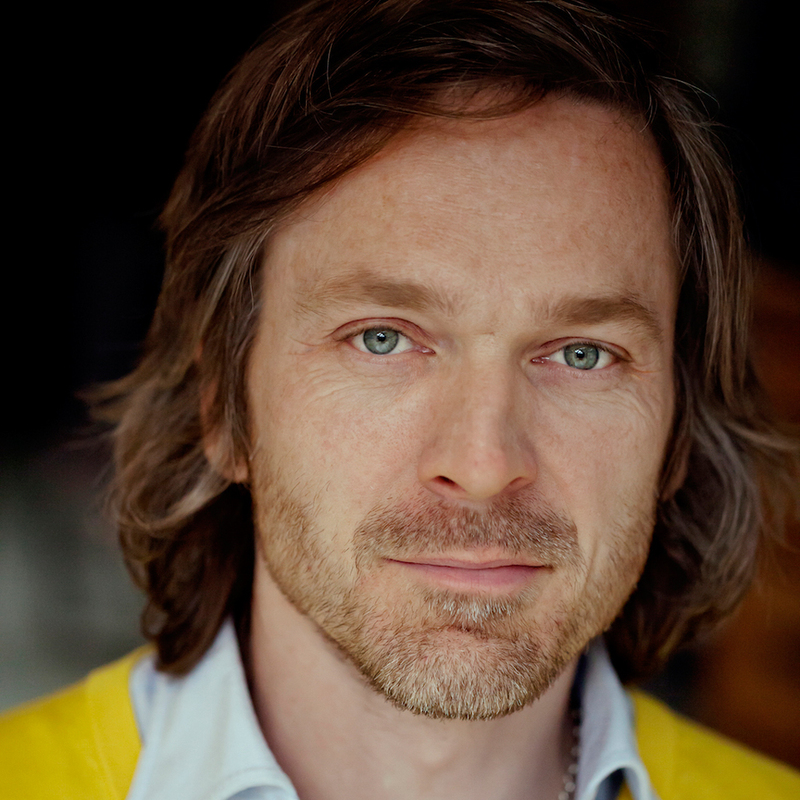 Richard van der Laken: I am a graphic designer, I have a design agency called De DesignPolitie or in English Design Police, and do all kinds of visual communication. I started that 20 years ago with my business partner Pepijn Zurburg and we have always been involved with all kinds of… I would say our own initiatives. From the start we did our own exhibitions, our own magazines, and we also started a socially engaged visual column that was in a Dutch newspaper. The Netherlands is a very well developed country when it comes to design, but even here we often have the feeling that design is perceived as something nice, something exclusive, it's aesthetics. Of course it's very important that we make beautiful stuff that people want to surround themselves with. But it's also much more than that. Design can help change things, and I wanted to address that. We were with some colleagues, that typical cliche of sitting together with a bit too much beer, and we were discussing this. Suddenly this name What Design Can Do popped up and we thought, "now we have something". The name is also the proposition. We wanted to organise an annual event where creatives from around the world could come together, not to discuss these beautiful chairs, but to discuss real societal topics that you can address with design. Anna Winston: How do you respond to people who say design shouldn't be political in this way? Richard van der Laken: Well that's an opinion. There are also people who say that everything you do is immediately and always political. You have to make decisions and they always are connected with society, and your position in society. As a designer you work for people, you work with people, it always has some kind of purpose. In that sense it's always connected with wider society, so design is always political. You cannot withdraw from society as a designer. Anna Winston: Do designers have an obligation to participate in politics? Richard van der Laken: Not per se, everybody is free to choose. There have been several moments when I bumped into a client that was political. We worked for the Dutch Liberal Party, and that was for us really a moment where we had to say ok, now we have to make the decision about whether to work for a political party. Do we feel OK with that? These things raise all kinds of questions – where do I stand and can I feel OK with this. We were also asked to pitch on a project for an evangelist broadcasting organisation. For me that's a bridge too far, I don't want to work for evangelists. But my business partner he felt OK with that. So it can also stir up a lot of discussion and questions in our studio. The danger is that it will backfire and everything will go wrong, and the whole goal of this challenge is that we achieve something. Anna Winston: There is a lot of debate around whether designers should be getting involved in a humanitarian crisis that is also seen as a political problem. Richard van der Laken: That's why our statement in this Refugee Challenge is that this is a problem, an issue, that is too big for politics and governments alone. We as designers, or as civilians at large, should step up and try to see what we can add to the solution to this problem. Anna Winston: Is there a risk of coming into something like this a bit naively and creating a further problem? Richard van der Laken: Of course. And we should be very honest about that. That is how we started with this challenge – we went in blazing like a bunch of cowboys. But at a certain moment we said ok, we have to take a step back and take a close look at this very complex issue. The danger is that it will backfire and everything will go wrong, and the whole goal of this challenge is that we achieve something. We tried to tackle that with some really serious design research. StandBy, a Dutch design research agency, did some serious research with refugees and refugee organisations in the Netherlands and abroad, and from this research the idea emerged of the "refugee journey". UNHCR, which is one of our most important partners on this project, told us from the start "we think it's a great idea that you try and tap into the wealth of creativity from designers but you have to focus on urban refugees", because 60 per cent are so-called urban refugees. Only a small number of refugees are located in a refugee camp. So we developed these five briefings. We really did our best to make sure that people who entered this challenge and picked up one of those briefings were given enough information not to be naive. Did we succeed in that? In a way, yes. But also if you look at this mountain of entries, of course there are also many naive ideas in it as well as some outstanding concepts and proposals. Anna Winston: Can you give us some of examples of proposals that stood out? Richard van der Laken: There is one proposal that's called ReFrame. To keep it very simple, it's almost a sort of Tony Stone for refugees. There are many images about refugees in the media, and here refugees make their own pictures and the idea is that with this refugee photo agency they can control their own images and also sell them. There's a business model in it. I think that's a very smart idea. Another one is a sort of referendum for reception centres, so people can rate and vote on the reception centres in Europe. For us this is a sort of pilot. The results up until now are very promising. This week at What Design Can Do we will announce the five finalists and they will jump into a so-called accelerator phase where they can work on prototypes, develop a business model, make these concepts into real proposals and then hopefully not only one, but all five of them will get funding or get a partner through UNHCR and the Ikea Foundation, and they will be able to develop it and implement it. Then of course we will see what really works. For us as an organisation we are also interested in the whole process that we've developed – what works and what does not work. Anna Winston: So you're going to repeat this if it does work? Richard van der Laken: Absolutely. We already have had many learning moments. This is an open challenge so you get an enormous amount of entries, but a lot of this energy ends up in the trash can. There is so much that we are not able to use. We don't have a clear solution for that. We also have to be prepared for another 600 entries, because suddenly the success is also a problem. You have to digest all these entries, you have to give everybody a fair chance, and that was a crazy amount of work. Anna Winston: The political atmosphere is quite negative towards refugees at the moment. Has the challenge attracted any criticism as a result? Richard van der Laken: No, not really. Of course we had some discussions, but there was nothing fierce or ugly. There are always people who say that the problem is too big and what can designers really do, this is something that the politicians and the army and the European union and the UN has to solve, etc., etc. We got a lot of that kind of feedback. Anna Winston: Do people underestimate what design can really do? Richard van der Laken: Well it's not at the top of people's minds in many organisations, and also governmental organisations. There is so much going on worldwide around this topic, and creatives and designers are only asked to come up with ideas and solutions at a very late stage and not often enough. It would be great if designers could be involved at a much earlier stage, if people could say well we have this problem how can we pick this up, what can we do about it. It's sad that there's this missed opportunity.